How Are Alcohol and Hypoglycemia Related? 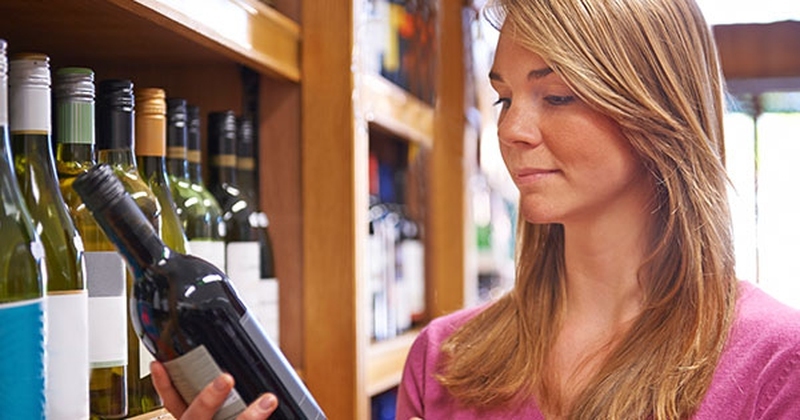 Most people are aware that alcohol can have detrimental long-term effects on the liver. However, many people are unaware that in the short-term, alcohol can also cause hypoglycemia. Some symptoms of hypoglycemia include vision changes such as double or blurry vision, pounding or racing heart, anger or aggressive behavior, anxiety, headache, extreme hunger, shaking, sweating, tingling or numb arms and legs, fatigue, insomnia, or difficulty thinking clearly. If you notice that alcohol tends to make you sick, it could be hypoglycemia. Let’s take a look at hypoglycemia and alcohol, and how we can prevent hypoglycemia from occurring. In order to figure out how hypoglycemia is triggered by alcohol consumption, it is imperative to comprehend the functioning of liver. The liver, injecting glucose into the bloodstream in a controlled manner, plays a vital role in the maintenance of glycogen levels and in the process of glycogenesis. What's more, liver has the capacity to convert stocked glycogen to glucose if the latter’s level in the blood is low. The affinity of hypoglycemia and alcohol is such that consuming excessive alcohol not only leads to dehydration, but also interferes with liver’s competence to drain glucose from blood and its ability to convert stored glycogen to glucose. Alcohol consumption can be particularly risky for individuals suffering from type 1 diabetes or taking strong medicines. Diabetic individuals taking insulin injections or medications need to prevent the overflow of glucose into blood. However, if they drink, the effect could prove to be counterproductive as the liver will be stunned or inhibited from releasing sufficient glycogen resulting in acute hypoglycemia. Diabetologists and endocrinologists are of the opinion that an alcoholic with hypoglycemia has hyperactive pancreas that are overly proactive in the maintenance of normal blood sugar level. This leads to the overproduction of insulin that eventually soak up more sugar from bloodstream than is necessary resulting in hypoglycemia. Heavy or hard drinkers are extremely prone to being diagnosed with hypoglycemia and moreover their poor or unhealthy nutrition habits are likely to exacerbate the hypoglycemic levels or symptoms. Since alcohol has a high proportion of sugar of the refined variety, alcoholics experiencing a hypoglycemic attack and feeling hungry will crave for alcoholic drinks rather than food. If you’re a regular drinker, are hypoglycemic and wish to break the unholy nexus between hypoglycemia and alcohol, then make the most of the following tips. Rather than guessing, ask your bartender to precisely measure the amount of alcohol in your drinks, so you’ll know how much you’ve consumed throughout the evening. Ideally, men should consume no more than two drinks per day, and women should consume no more than one drink per day. A proper serving size of alcohol is considered 5 oz. of wine, 12 oz. of beer, or 1.5 oz. of liquor. It is always smart to educate yourself about hypoglycemia and alcohol to avoid harmful consequences. The most effective strategy to weaken the link between alcohol and hypoglycemia is to abstain totally from foods rich in refined sugar like cakes, cookies, ice-cream, and chocolates. Sugar along with alcohol doesn’t have any nutritional value but does have the potential to activate hunger pangs or cravings. Alcohol has the unfavorable effect of bringing down the level of glucose in the blood, making you feel dizzy and inciting pangs of hunger. To offset this effect, stick to a balanced diet with the right proportion of fats, proteins, and carbohydrates. Also, have drinks with low sugar and alcohol content. Mix club sodas, diet sodas or water in your drinks to keep sugar levels under control. Consume snacks and food items, especially those rich in complex carbohydrates, in between your aperitifs. You can go the whole hog on finger foods like potato chips and pretzels as well as try whole-grain pita chips along with hummus, cheese, and guacamole. Steer clear of foods high in refined or simple sugars like candy bars, Cadbury bars, and cookies if you’re sincere about snapping the linkup between hypoglycemia and alcohol. Keep taking light snacks after you reach home and if you strongly feel that your sugar level is going to subside while you’re asleep, eat finger foods just before going to bed. You can also have snacks when you get up during midnight to use the bathroom. Before heading out for the evening, tell a friend about your hypoglycemia so that you’ll have someone who can help you, if needed. You should also wear a medical I.D. bracelet that identifies you as hypoglycemic, especially if you’ll be alone. In order to prevent bad news from hypoglycemia and alcohol, you should check your blood sugar levels while drinking and even afterwards. Alcohol can actually mask the warning signs you would typically experience from hypoglycemia, which raises the risk of severe hypoglycemia. However, monitoring blood sugar levels can be tricky while drinking. Alcoholic beverages may at first raise blood sugar levels, and then later cause a drop that may lead to hypoglycemia. If you need to take insulin while drinking, be very careful as it can be easy to misjudge the amount of insulin that you truly need. As a health conscious person, you may be in the habit of going to the gym regularly or exercising in your home or outdoors. Be in the know that indulging in strenuous exercises may make you insulin sensitive for at least 48 hours. So as to prevent hypoglycemia from relapsing see to it that you don’t indulge in strenuous exercise within 24 hours of drinking. Keep a gap of at least two days or 48 hours between your physical program and drinking session. Driving, hypoglycemia and alcohol never bring good news. As a responsible citizen you certainly know the hazards of driving under the influence of alcohol. And if you’re a hypo, the risks multiply if you take to the wheel in a drunken state. For that matter, it may not be safe to undertake any activity that requires you to focus if you’ve taken a few drinks.